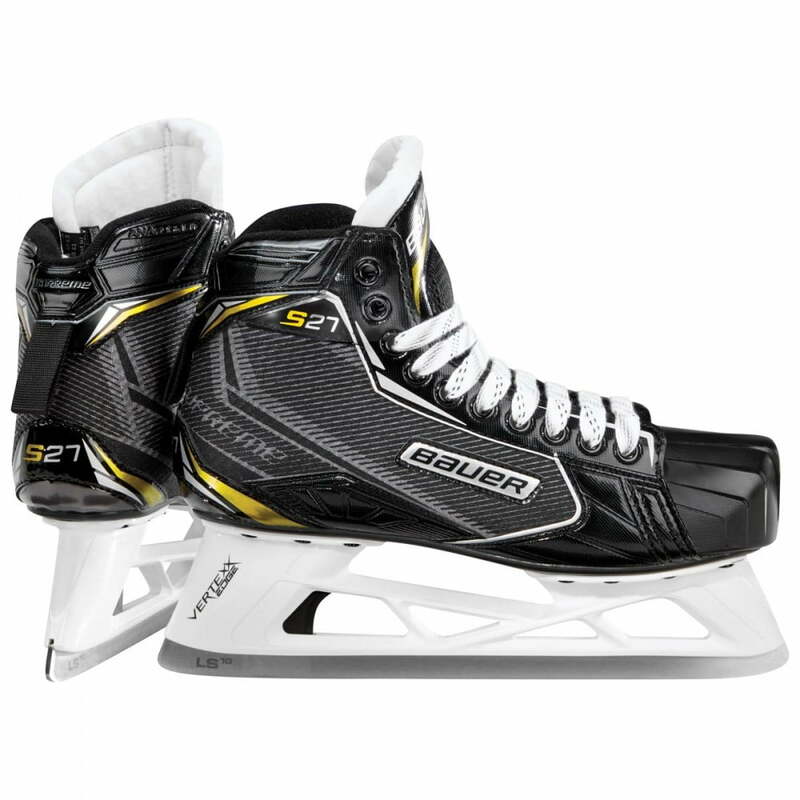 Goalie Skates | Sports Etc. Strategically placed eyelets put goalies in the deepest attack position, facilitating natural and more direct energy transfer when moving laterally. Formed with the monocoque shell, the patented TRUE ToeCap provides superior comfort and unrivaled protection. One piece molded design leads to zero loss of energy and responsive power transfer allowing goalies to get across the crease faster. The lower profile also assists with maintaining edges before committing to the shooter. 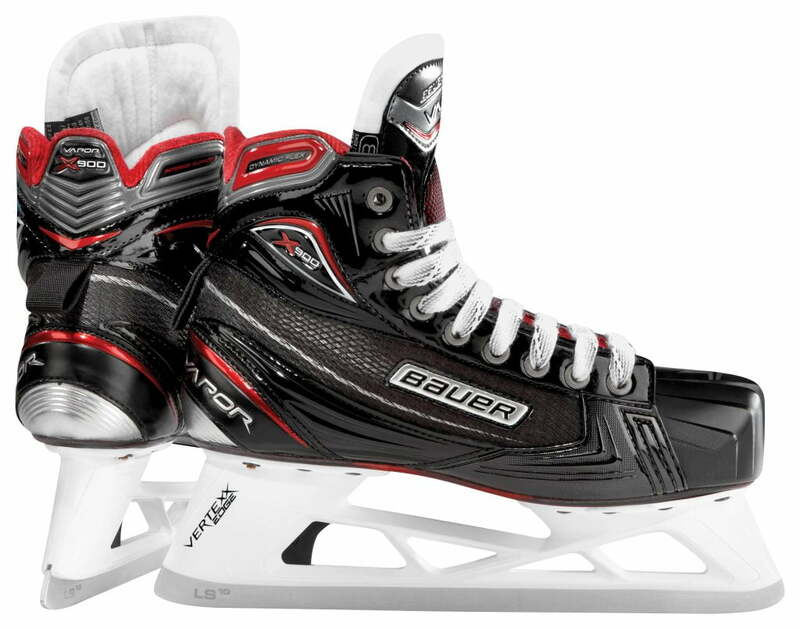 Without a traditional cowling the boot allows for a lower position to the ice for heightened feel, maximum control, and improved attack angle. 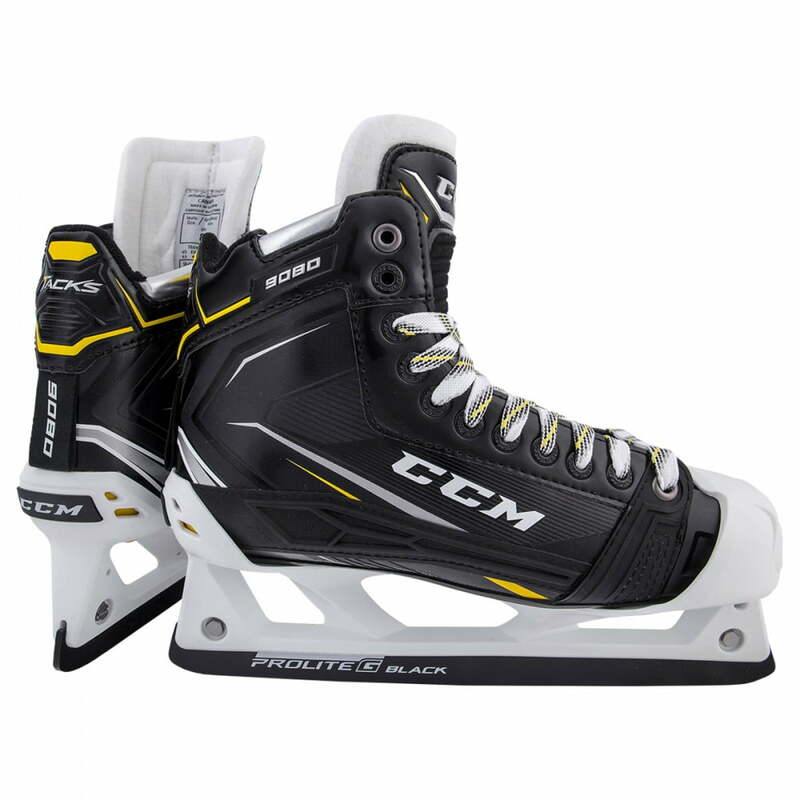 With greater clearance from the ice, achieve an optimized attack angle, deeper stance, and maintained edges before committing to a shooter. 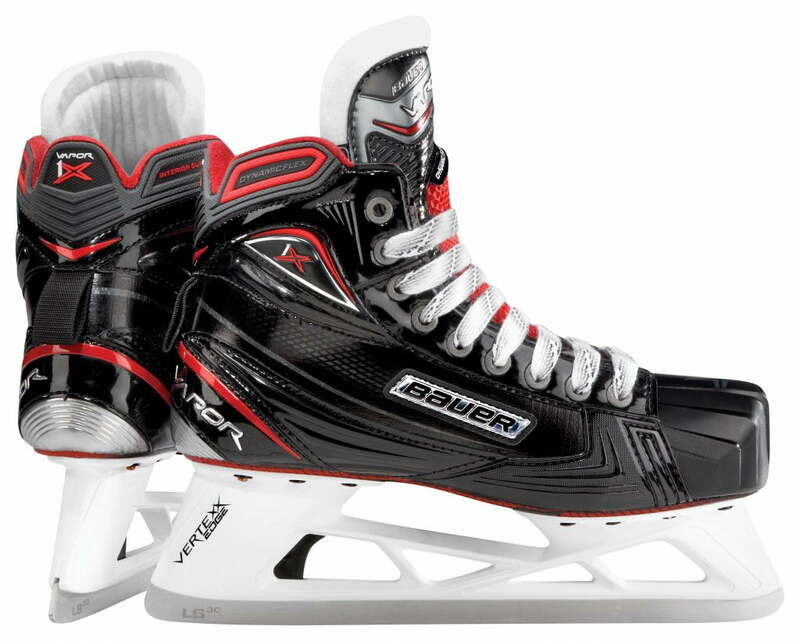 Quarter: Synthetic power form composite offers a durable boot with elite structural stiffness and a composite skin finish. Liner: Two-tone brushed micro-fiber helps to provide comfort and a resistance to wear and tear. Footbed: Anatomical response footbed helpes to provide support and comfort. Tongue: Felt tongue with embossed lace-bite protection is a 7mm felt with reinforcement layers for increased comfort and protection. 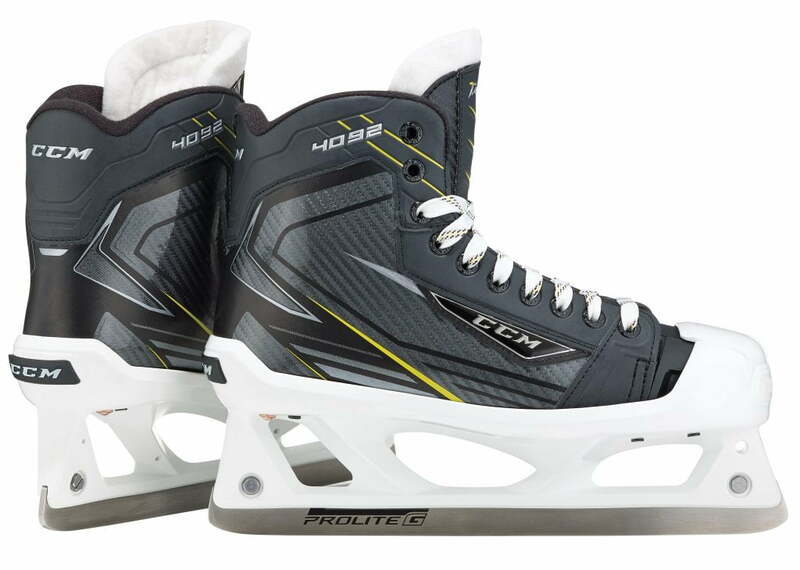 Cowling: ProLite GS is a new lightweight cowling with nylon inserts and highly reinforced toe and blade area to protect goalie and skate. 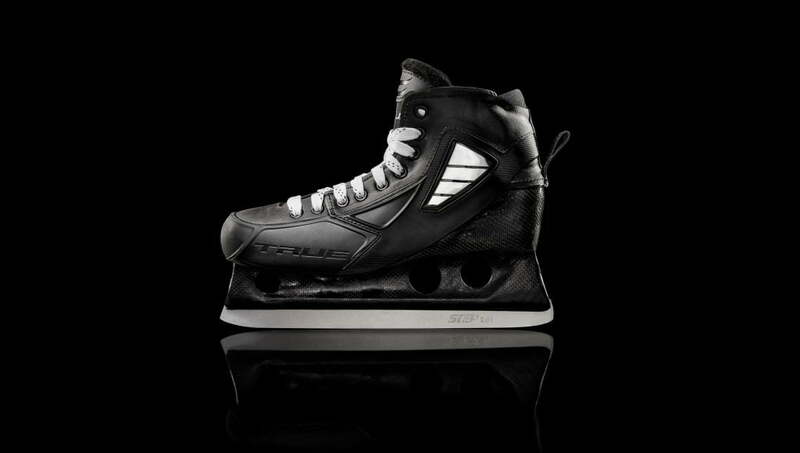 Material: Rocketframe Composite: NHL Caliber lightweight material. Footbed: TotalDri Pro with Durazone Abrasion Protection. 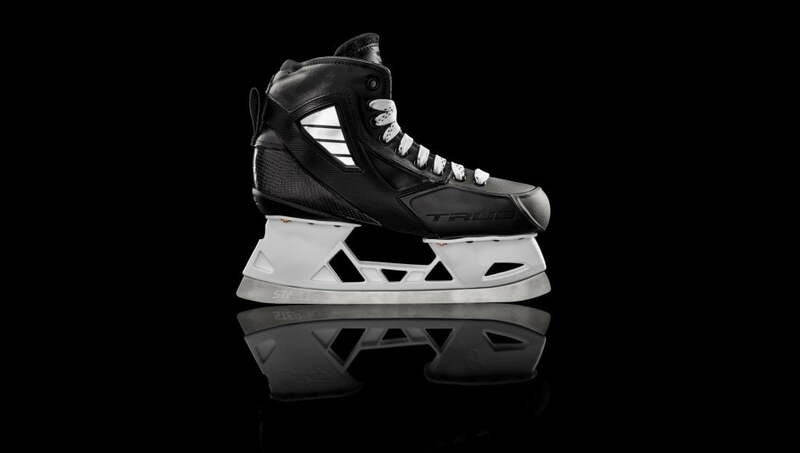 Tongue: Speedcore 2 Stiffness: Lightweight and Rigid. 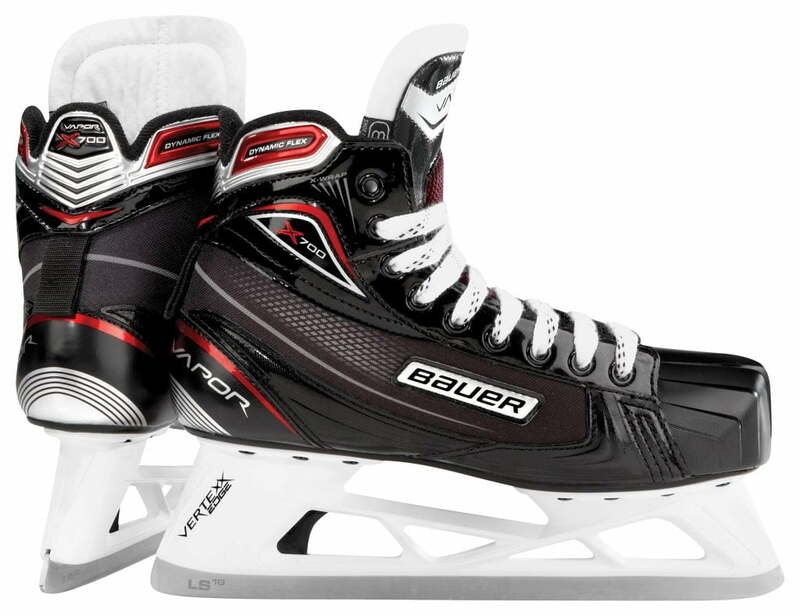 Holder: Attack Profile Holder: Extra lightweight holder with low-rim design and reinforced toe/blade to protect goalie and the skate. Runner: Prolite G Black- High performance blade with oxide treatment for a longer edge life and greater resistance to corrosion.